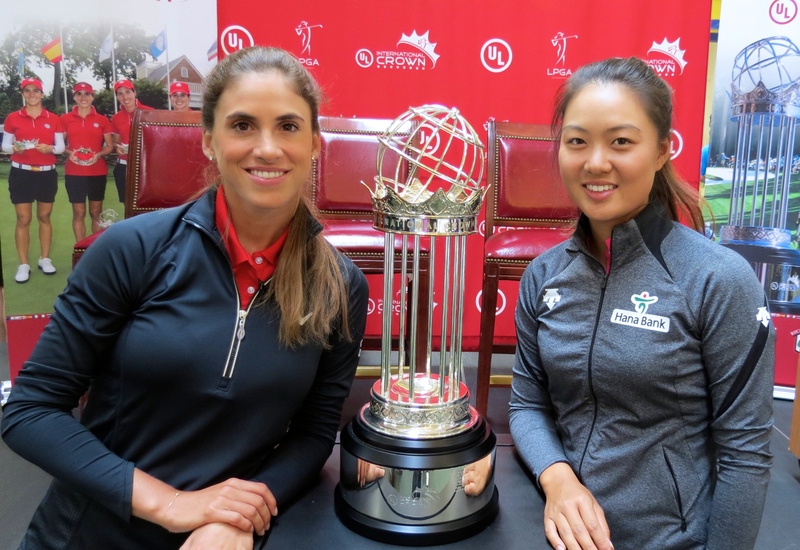 Barry Cronin, Cronin Communications, Inc.
LPGA stars Belen Mozo and Minjee Lee joined corporate sponsors and local dignitaries to help kick off the “One Year Countdown” to the LPGA’s 2016 UL International Crown at host-site Rich Harvest Farms in Sugar Grove. Find more photos from the Western Amateur in our Flickr album here. On the second hole of a sudden death playoff, Dawson Armstrong holed a 20-yard bunker shot for eagle to win the 113th Western Amateur in the most dramatic fashion in memory. 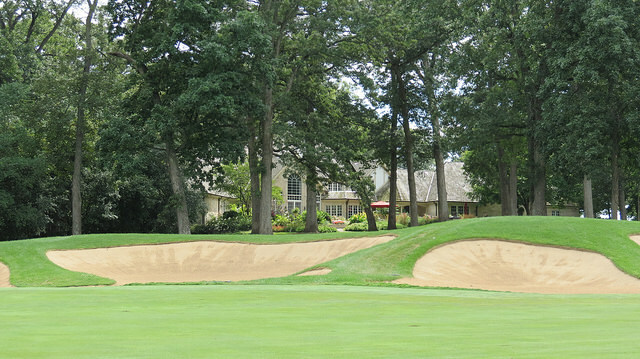 Armstrong’s stunning shot from the sand fronting the par 5 second hole at Rich Harvest Farms meant that his opponent, Aaron Wise, needed to hole his 25-foot putt to match Armstrong’s 3 to continue the playoff. But Wise’s putt slid by, and when it did Armstrong fell into the arms of his father, Dale Armstrong, a former mini-tour player who caddied for his son during the two-day match play segment of the championship. GWAT, WCGT, NIMAGA, GCAM, and NAGT is an alphabet soup of acronyms that may not be recognizable to the average Windy City golfer, unless they are a member of one of the amateur golf tours that operate in the metro Chicago area. Some are affiliated with nationwide organizations that feed into national championships, while others are locally independent, but all exist to provide an outlet for local golfers to compete in tournaments guided by the USGA rule book.